I thought that wearing a Converse sneaker would be the last thing I would do. The last time I wore Converse was in 2008. I loved it at first but after a couple of wear & tear , the canvas gave up. I wear it everyday and I was so sad when it doesn't look okay anymore. I saved 3 weeks to buy that beige sneakers. I even bought a fake one in leatherette but after a week, the defects started to flesh out. 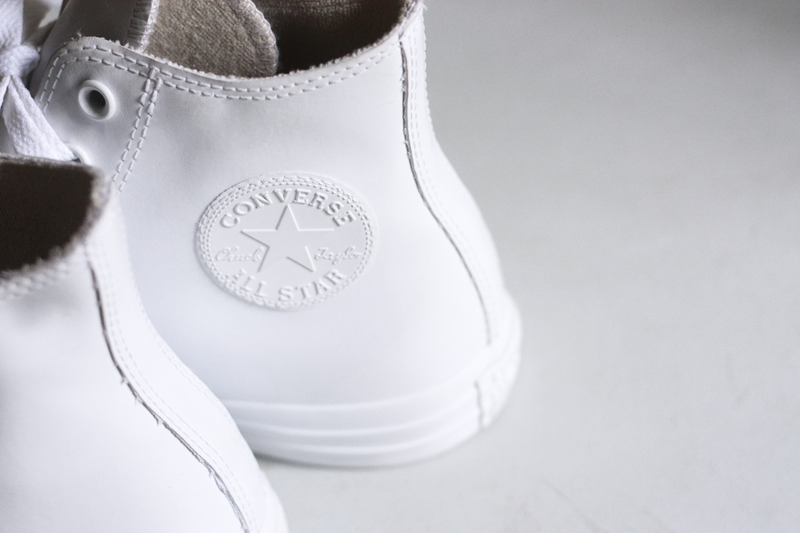 So I became a shoe junkie, if you might call it, but Converse was out of my radar for a long while. 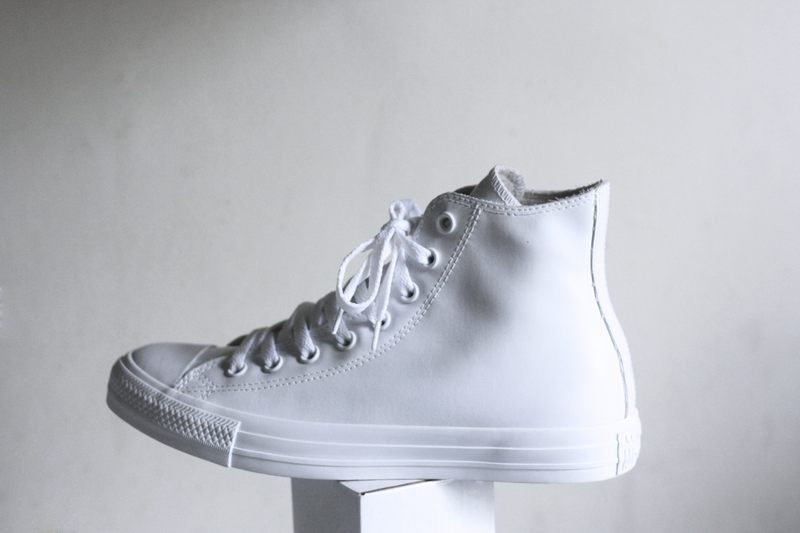 Then a surprising collection came.Converse released a monochrome rubber collection fall of last year. I just saw the collection in person during Christmas and from then on I was doing mini research about the shoes. Shame that only a few reviews were dedicated for the said collection and after seeing how good a pair looked on bloggers, I went to the mall and tried them myself. I called at least 9 stores and there are only 2 which carry the white version. 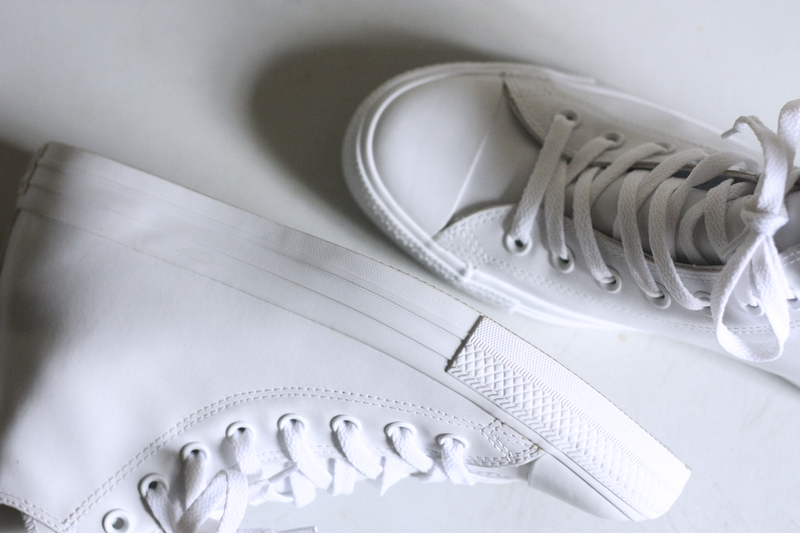 Part of the influence was mainly because of the resurgence of the sneaker era. 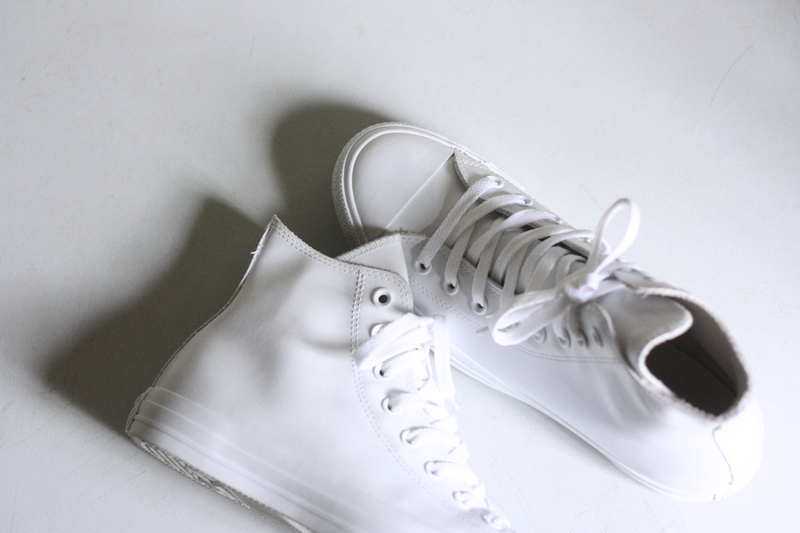 The Adrian hi-cut sneakers from ACNE, the delish EYTYS platform sneakers et al. made me fall in love . And let's not forget the iconic branding of Jacquemus which highlighted the power of a white sneaker and white socks. 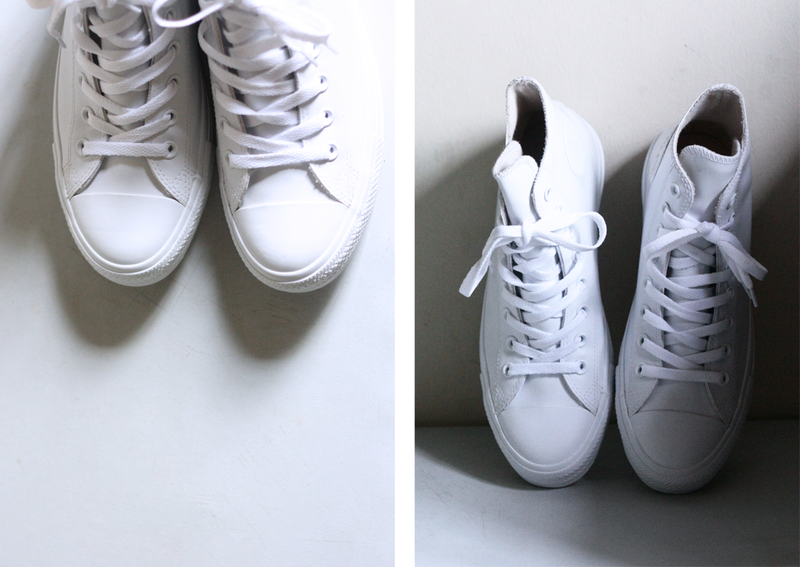 I imagined myself wearing a navy pants with these all-white gum sneakers. Honestly, any color-way and style worked. Of course! I also love that it's easy to clean. The trick is to clean it right away after using so stain won't get clingy. I'm actually waiting for the rain so I could test-drive these. And who am I fooling? I just love everything monochrome and white. Anything white and squeaky clean nourishes my life source. P.S. I wish Dr. Martens would release a gum collection too if it's not asking too much. thanks for that. I've issues with stains on my Dr. Marten's now.. you can only be careful for a certan level you know haha. !!!!! They are pure perfection. thanks , love.. my fave shoes!